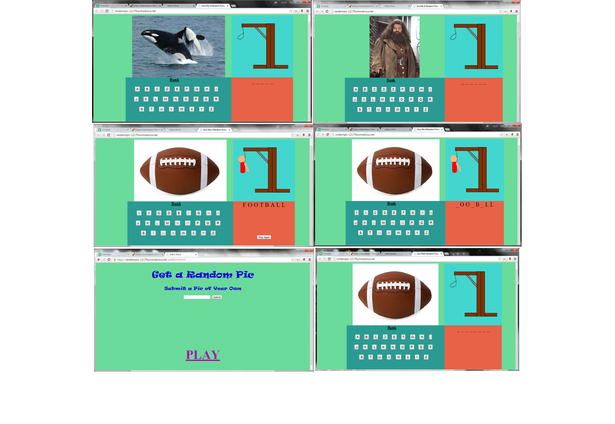 Give Me A Random Picture is a web service that allows you to play a game of hangman! The web service uses google image to find a corresponding image from Google, and then allows you to make a guess! The Service also allows you to add custom words, which are updated in real time thanks to node.js, and any user playing the game will have a chance to play a game using your word! In addition to the service, we also got the awesome domain name of givemearandompicture.com, although we did not set it up for the competition. Comments for this submission are closed. View the software in emrickgj's portfolio to continue the conversation.